It’s Easter again, which evokes different responses in different people. Some people think about the claim that, after he was executed, Jesus was raised to life by God. Of all the critical comments I have received on this blog, criticism of christian belief about the resurrection of Jesus is one of the most common and most vehement. Let’s look at some of the arguments that have been offered to me. Before I look at the arguments, it is important to clarify the difference between historical “facts” and faith, for I think this is a major source of misunderstanding. In just about every aspect of life, there are facts – information or evidence that everyone who values evidence and truth should be able to agree on. On this base, we each then construct our own opinions and beliefs. Unfortunately, many arguments, such as the ones we are considering here, may blur this distinction. All of us have biases which we have to recognise in ourselves as well as others, but sometimes people (on all sides) misrepresent the evidence to support their own conclusions. In this discussion, I will mostly be considering historical evidence, as determined by a broad consensus of secular scholars, regardless of their personal beliefs. This is the most fundamental objection. Medically, when a person is dead, they cannot be revived. They are gone. If they can be revived, then they weren’t dead after all. This isn’t actually a medical fact any more. Brain damage isn’t immediately irreversible, so if the right techniques are followed, apparently dead people can sometimes be brought back. But we’ll leave that aside, because such techniques weren’t available in Jesus’ day. So how can any sensible person believe Jesus was resurrected? Medical science shows us it is impossible. Well, most christians wouldn’t disagree with all that. Dead people don’t recover in the normal course of events. If this wasn’t clear, then no-one would regard resurrection as a miracle! But the point is that christians don’t believe that the normal course of events ensued. Christians believe God intervened. So before we can say the resurrection is impossible, we have to show that it is impossible that God exists or that he couldn’t have raised Jesus. And of course science hasn’t been able to demonstrate that. So we cannot rule out the possibility of resurrection on these grounds. But surely the resurrection is improbable? The argument seems to have strength. After all, one of the ways we assess probability is by the frequency that an event is known to have occurred. And if there are no known cases of resurrection, it must be less probable than other explanations for which we do have precedents. Again, this argument is reasonable if we are discussing what naturally happens to normal people. But the claim about the resurrection of Jesus is that we are NOT discussing a natural event, nor is Jesus believed to be a “normal” human being. We are discussing whether God may have raised his divine “son” from death. And we have no prior precedent, either way, for that at all, no way to assign a probability. So unless we can show it is improbable that God exists, or improbable that Jesus was divine, then this argument also claims too much. But surely historians cannot use a miracle as an explanation!? There is certainly a difficulty in invoking a miracle as an explanation for an historical event, for that makes any bizarre theory possible. Perhaps Lee Harvey Oswald didn’t shoot JFK, it was an evil spirit that did it? But again, the story of Jesus is not like most other stories. Here was a man who (according to Gerd Thiessen and Annette Merz) has more credible miracles attributed to him in historical sources than any other ancient figure, who apparently claimed to be the Jewish messiah, and whose monotheistic followers began to worship him alongside God soon after his death. The story of Jesus cannot be understood without addressing the supernatural. Miracles are not an arbitrary explanation, but at the core of the story. Most secular scholars regard the miracles, Messianic claims and resurrection belief as essential parts of the Jesus story, however they may explain them. So we have to examine the historical evidence. What have scholars concluded? Jesus’ death, burial and resurrection are reported in multiple sources within the Bible (the four gospels, several of Paul’s letters, Acts and several other letters) and are mentioned, even if negatively, by many anti-christian writers (mostly in the second century). While the sources have their difficulties, they are regarded as useful historical evidence. In historical terms, belief in Jesus’ death, burial and resurrection is well-attested by independent documentation. It is more or less the same historical evidence we have for the rest of Jesus’ life. And that is generally better than the evidence we have for most people of that time, even some of the very famous ones. In asking for more historical evidence, some sceptics seem to be asking for more than historical study of ancient times can provide. We either accept written reports as evidence to be assessed, or we have very little ancient history. I think the sceptics mostly mean that they don’t believe that the evidence is describing historical events. Almost all scholars consider Jesus’ death by crucifixion to be one of the most well-attested facts about him, and a bedrock for understanding Jesus and the history of the early christian movement. Most also accept the accounts of his burial, although some speculate that Jesus’ body was left exposed to provide greater humiliation, as was often Roman practice. Philosopher Gary Habermas reviewed more than 1400 scholarly papers published between 1975 and 2005, and found that three quarters accepted arguments in favour of Jesus’ tomb being empty (even if they think some of the stories about the resurrection are not historical), and most scholars concluded that “after Jesus’ death, the early Christians had real experiences of some sort …. they thought were appearances of the risen Jesus “. Habermas has been criticised for not publishing his list of papers, but it is notable that no-one has ever conducted a similar investigation in an attempt to throw doubt on Habermas’ conclusions. This isn’t surprising, because most scholars I have read, including non-christian ones, accept either the empty tomb (e.g. Robin Lane Fox, Michael Grant) or the fact of the appearances (e.g. Maurice Casey, EP Sanders and the Jesus Seminar), or both. So Jesus’ disciples certainly believed he had been raised to life and was now at “God’s right hand”, but there is disagreement among scholars about whether they saw this resurrection as bodily or spiritual. I suppose the majority favour belief in bodily resurrection, though that is a subjective assessment. It seems to me that sceptics would reject both views equally, so this disagreement makes little difference for them. Legends based on dying and rising gods? Some sceptics have argued that belief in the resurrection was a later development in first century christianity, or even that the idea of the resurrection is a later legend, perhaps based on ancient pagan legends of dying and rising gods. But these views have lost favour with historical scholars who have studied the matter (e.g Larry Hurtado and Bart Ehrman). They say that we have evidence that Jesus’ followers believed in his resurrection very soon after his death, way too soon for legends to develop. And the connection between Jesus and pagan gods has been pretty much disproved. It is well recognised that the resurrection accounts in the four gospels contain many differences. Some can be explained by the different perspectives and interests of the gospel writers, and harmonisation is possible. Nevertheless, most scholars accept that there are differences that throw doubt on some aspects of the stories, including doubts about the days on which the Last Supper, the crucifixion and the resurrection occurred. Some scholars even regard the stories of the visits to the empty tomb of Jesus as fabrications. But the historical evidence that Jesus’ tomb was empty, and his followers believed he was resurrected based on some sort of visionary experiences, is widely considered to be good, albeit arguable, as we have seen. This evidence is consistent in the sources, and isn’t affected by differences in the accounts. It is common for historians to have to disentangle well-supported events from documents that contain doubtful accounts too. And so many scholars conclude that the differences in details show the resurrection reports are largely independent and are based on a solid historical core. So the historical evidence that something unusual happened is quite good by ancient standards. If we had this amount of evidence for an uncontroversial event (say the ascension of a king), there would be few questions. The difficulty isn’t so much the historical evidence, but how we interpret it. So if the historical core stands up to scrutiny despite the difficulties, what alternative explanations are offered for Jesus’ apparent resurrection? 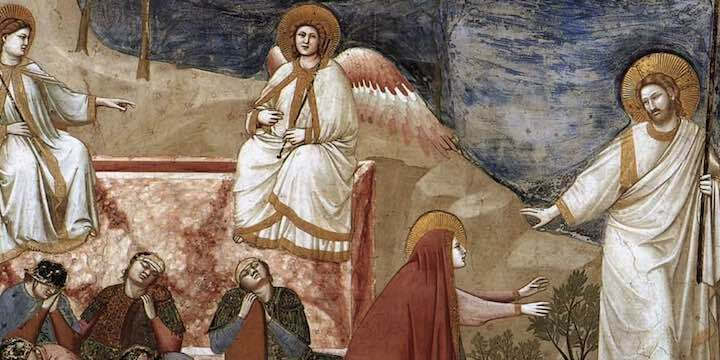 Some scholars are christians, and so they have no problem accepting that the resurrection actually happened, as also did Jewish scholar Pinchas Lapide. NT Wright concludes that the historical evidence requires this conclusion, but many other scholars think belief is a matter of faith based on the historical evidence. Other scholars believe Jesus saw himself as a Jewish prophet who was willing to die for his people. But his disciples couldn’t accept this, and in their grief they saw appearances of Jesus alive, as sometimes occurs with bereaved people. On this view, the stories of visits to the tomb are imaginative re-writing of the stories handed down to them, to explain the appearances. Many scholars simply report what the early christians believed, and offer no view on what actually happened. For them, that is a matter of belief, not of history. A choice between these three options isn’t really a matter of historical evidence, but of personal conviction and of philosophy. So it is that atheist Jeffery Lowder concludes that the resurrection is quite believable for those who believe God exists, but quite unbelievable to those who believe that no God exists. I agree with that conclusion. Because I believe, on other grounds, that God exists and Jesus was divine, it seems appropriate that God would resurrect him as I think the historical evidence suggests. Does the resurrection prove that Jesus was divine? Many christians believe that the evidence for the resurrections shows that Jesus was divine, and philosophers WL Craig and Gary Habermas have won debates with sceptics based on the evidence. But I don’t feel that. I think if I was an atheist I would not find the evidence sufficient to convince me that Jesus really rose and thus I should stop being an atheist. But I do feel the evidence is helpful as part of a cumulative case for God’s existence and Jesus as his incarnation on earth. So how can a christian possibly believe in something as impossible as the resurrection of Jesus? I find it quite easy! I don’t think it is impossible, but possible because God is powerful. Much more possible than that a well-designed universe should come into existence out of nothing. To me, THAT would be a miracle without sufficient evidence! I think the historical evidence is relatively strong, and the resurrection is an appropriate, even inevitable, end to the life of Jesus on earth as recorded in the gospels. If we understand the life and mission of Jesus aright, of course God would raise him to life! And so, no doubt, the arguments and disagreements will continue, as they should about such an important and amazing event. I can understand why a sceptic doesn’t accept that Jesus was raised. I can only hope that sceptics might understand why I believe it.